Eating fruits in the the form of 'Fruit Chaat' is so much fun for Kids. The only thing that can be even more exciting is making the 'Fruit Chaat'. 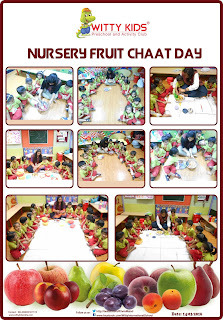 Witty Kids had organised 'Fruit Chaat' making activity for the children of Nursery section on, Monday, 14 March 2016. 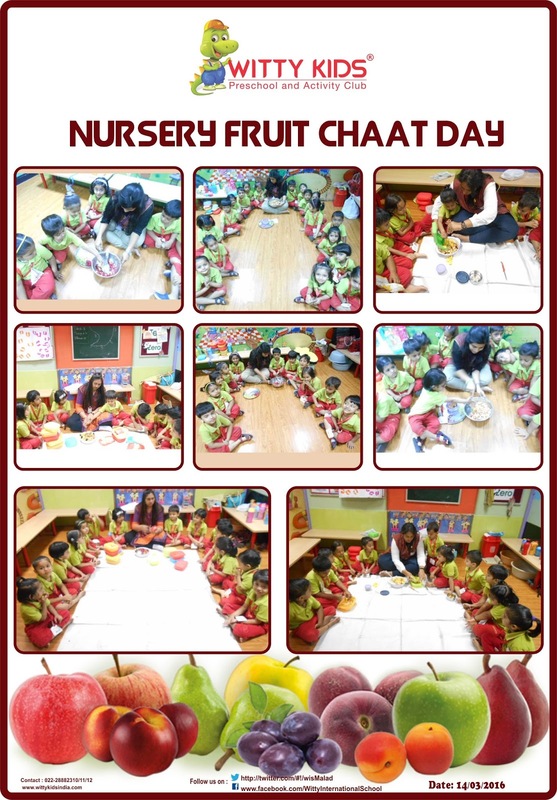 Children enjoyed mixing up the chopped fruits that they had brought in their tiffin. They felt the texture of different fruits. The different colours combined to form such a mouth watering delicacy. They then ate this fruit salad and enjoyed the fusion of taste. This cooking experience was not just about cooking but it was a delightfully sensorial experience, and a great way of learning too!! !